9:30 a.m. - 3:55 p.m. & 9:15 a.m. - 3:40 p.m. The Forbush School at Anne Arundel Hours: 9:30 a.m. - 3:55 p.m. M – F Maximum Number of Students: 6 Number of Classrooms: 2 The Forbush School at Anne Arundel is an 11-month special education and related services program located in Ruth Parker Eason Special Education Center, in Millersville, Maryland. We provide educational services to students ages five to 21 with autism and intellectual disabilities. The Forbush School at Anne Arundel South Hours: 9:15 a.m. - 3:40 p.m. M – F Maximum Number of Students: 6 Number of Classrooms: 2 The Forbush School at Anne Arundel is an 11-month special education and related services program located in Central Special Education Center, in Edgewater, Maryland. We provide educational services to students ages five to 21 with autism and intellectual disabilities. By establishing a comprehensive and integrated approach, we offer students and parents a comfortable, safe environment where students can thrive. We believe success can only happen when we collaborate with the entire family, and our staff work with parents to ensure that new skills learned at school can be applied at home. Our main focus is to stabilize maladaptive behaviors and to help our students make academic progress based on their individualized education program (IEP). About Our Program We provide our students with opportunities to experience life in their community in compliance with their data-based IEP. Because we are housed within a public school, we are able to provide academic, behavioral, and vocational supports and services to our students so that they can participate in public school programming to the greatest extent, and transition back to a less restrictive educational environment as soon as possible. As part of our program, in addition to functional academics, students will develop communication skills, self-care skills, socialization skills, vocational skills, and recreational/leisure skills. To best meet the needs of your child’s IEP, we frequently utilize proven practices such as , core communication, social skills instruction, sensory integration strategies, community-based instruction, and vocational instruction. Our students participate in library, media, physical education, art, music, and aquatics instructed by staff in the Special Education Centers. We implement the Anne Arundel County Public School approved Unique Curriculum based on the Common Core Standards to instruct the Maryland College and Career Ready Standards, and utilize the Syracuse Community-Referenced Curriculum Guide for instructing students in functional skills development. Our students are typically eligible to participate in Maryland State Assessments and pursue a Certificate of Program Completion. To help our students learn to their full potential, we employ thematic curriculum concepts, which help contextualize what they learn to ‘real world’ situations. We also utilize evidence-based core communication techniques. ‘Core’ words are the words used most frequently in a typical conversation; using these communication techniques helps our students understand, and retain, what they are learning in school. As part of Sheppard Pratt Health System, our dedicated staff has access to the best training, treatment practices, and technology. We actively collaborate with other Health System schools and professionals to ensure a top-notch program in which our students are achieving their academic, social, and emotional goals. We employ a multi-disciplinary team of staff, which includes a certified education director, a curriculum coordinator, a behavior specialist, an assistant behavior specialist, a speech pathologist, a vocational program assistant, special education teacher(s), educational assistants, and 1:1 dedicated aides. Our education director oversees the team as they work to enhance every aspect of each student’s education. 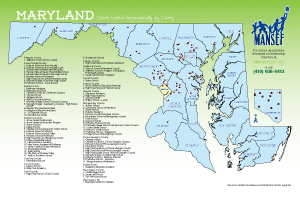 Our school, categorized as Type II, is approved by the Maryland State Department of Education (MSDE).